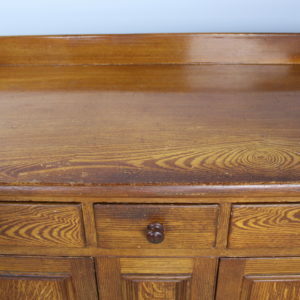 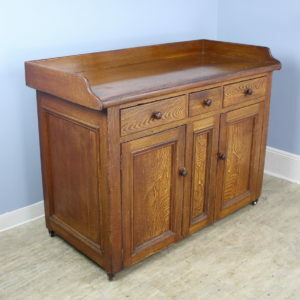 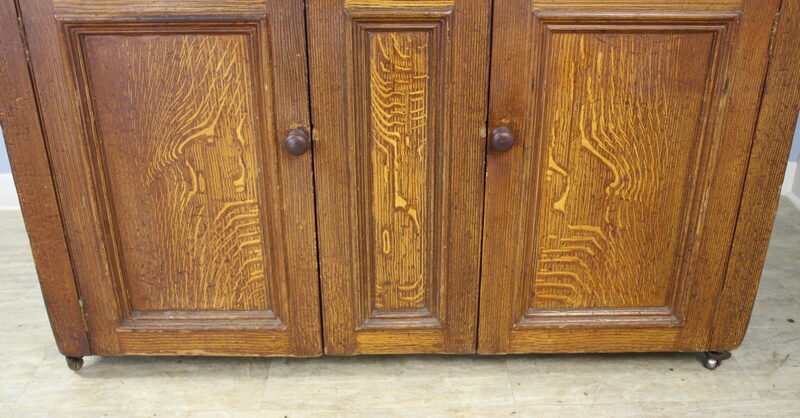 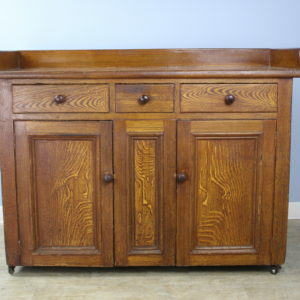 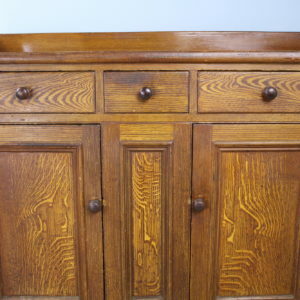 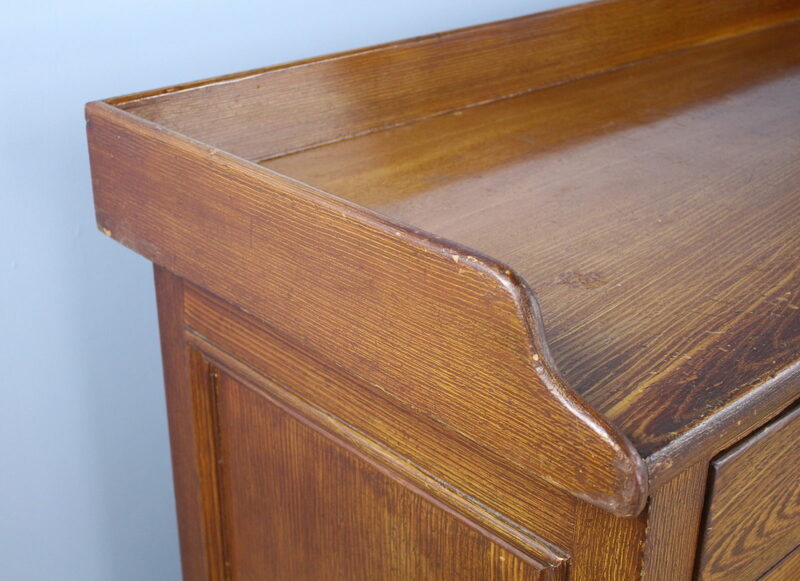 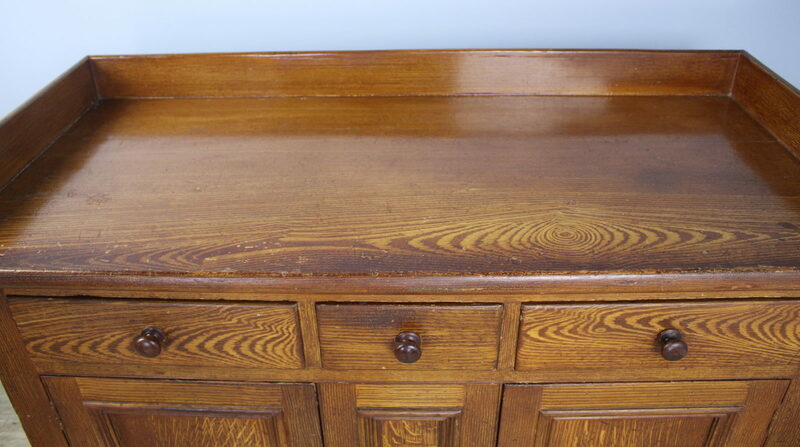 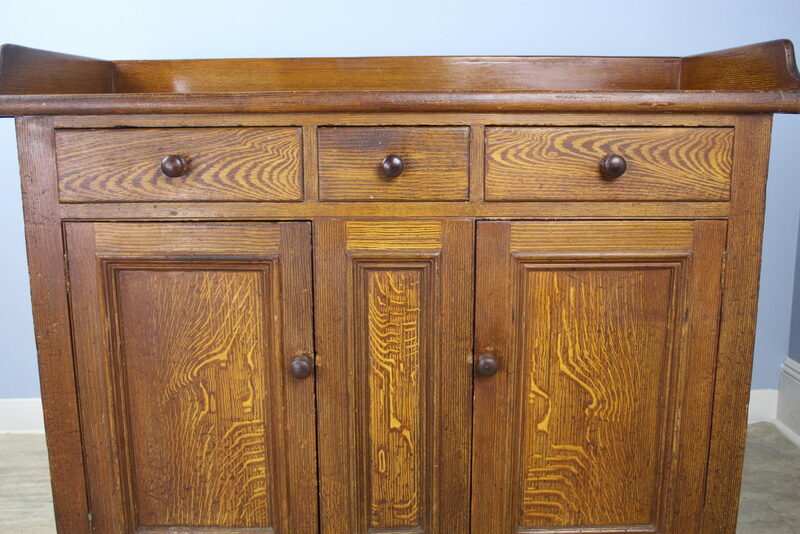 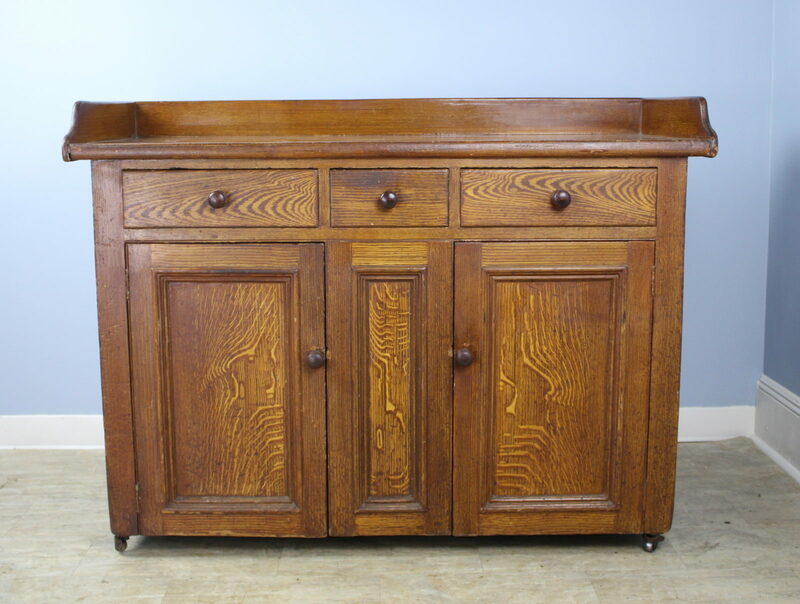 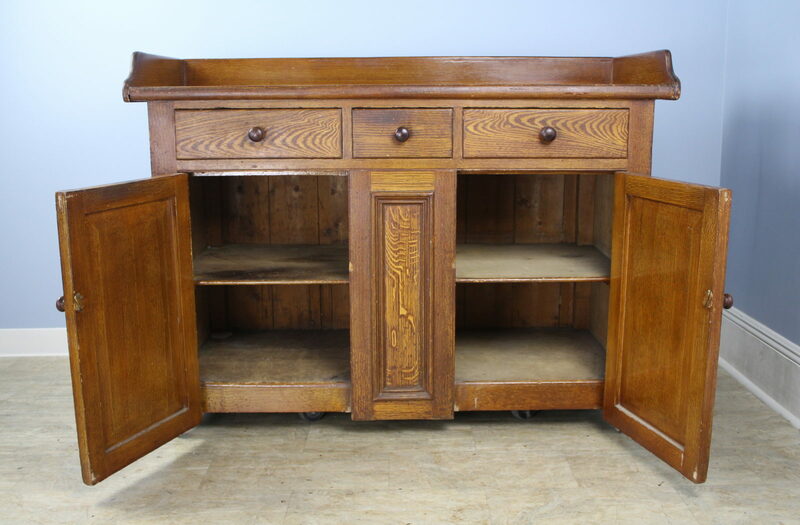 A painted Scottish pine sideboard or kitchen cupboard, hand-painted to resemble oak. This sturdy piece is generously proportioned with three roomy drawers above and large cabinets below, with one non-adjustable shelf. 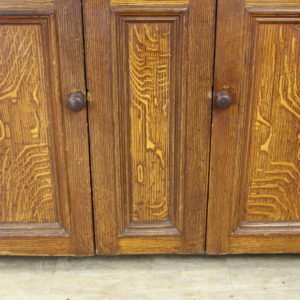 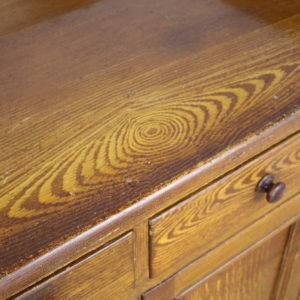 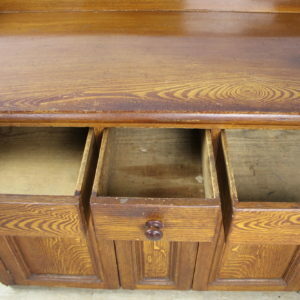 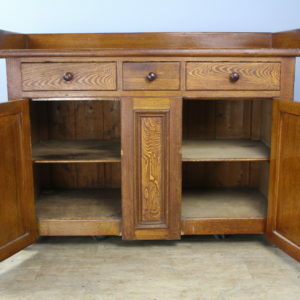 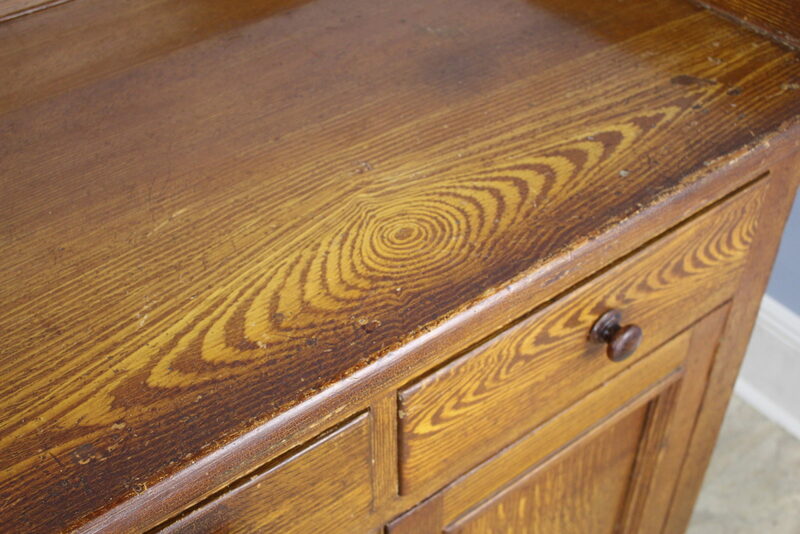 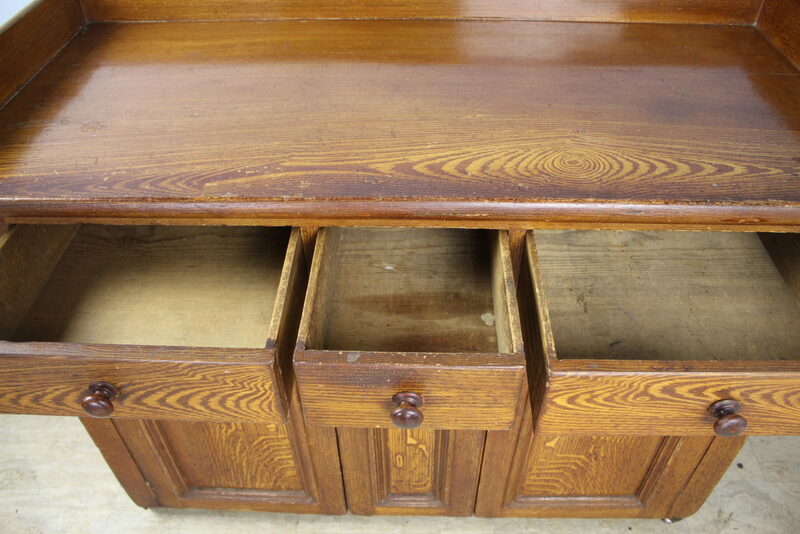 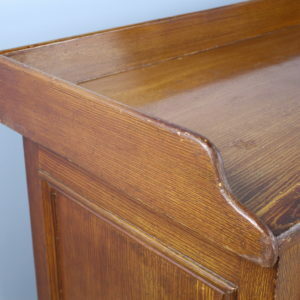 The piece has not been restored, and is distressed in areas, which contributes to the overall charm. 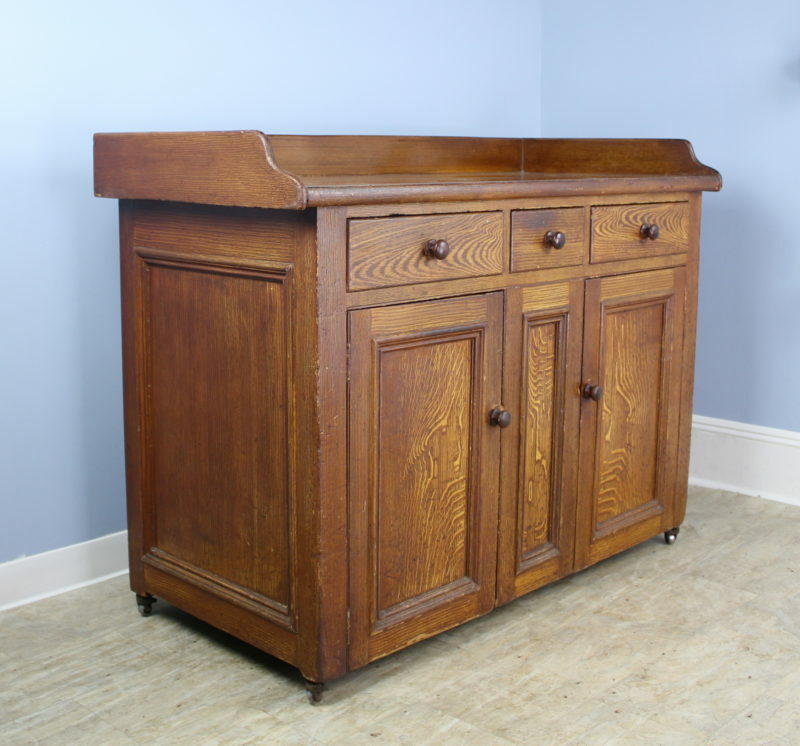 Castors make for easy transport but can be removed easily.